A gift from the French government to assure the United States that they were, in fact, still friends, the Statue of Liberty was never meant to be a lighthouse. Still, for the first sixteen years of its American life, Liberty Enlightening the People served as a lighthouse, 'helping' to guide sailors into the New York Harbor. Or something like that. Statue of Liberty Lighthouse, 1890. 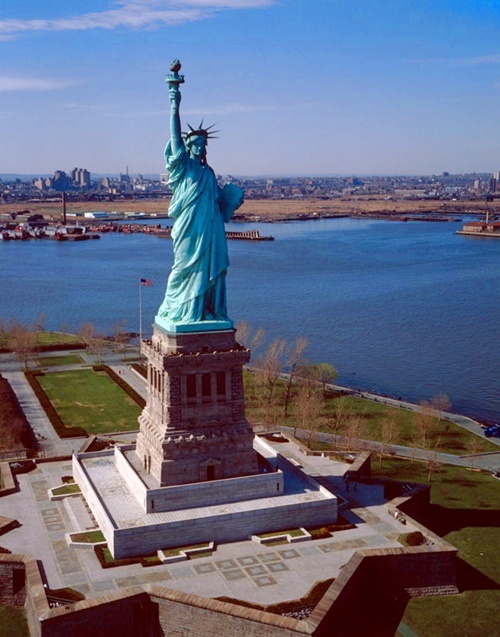 As mentioned, the statue wasn't supposed to be a lighthouse, but when the idea was posed to Frederic Bartholdi, the statue's designer, he seized on the idea with enthusiasm. A statue that not only held a torch, but held a torch that lit up and literally guided people to safety was pretty cool, and everyone else agreed, especially when it was proposed that the statue would be illuminated by the newfangled electric light. The Statue of Liberty was the first lighthouse in the United States to be lit with electricity, with all other lighthouses running off old fashioned kerosene lamps. However, Bartholdi's original design didn't include any convenient places to shine lights out of, save for the lady's tiara. Bartholdi and his engineers (noted among them, Gustav Eiffel) set to finding a creative solution, or two. Bartholdi's first idea was to install flood lights along the ledges of the torch. This would cast a bright light out to sea, illuminating the way for passing vessels. This idea, however, worked too well, and was rejected because it was feared that the light would blind sailors, and cause shipwrecks. Instead, windows were cut into the torch, and electric lights were placed inside, lighting the torch from within. The lights were initially powered by a steam electricity plant and dynamo generator at no cost to the United States government. While the United States were thrilled to have a cool statue, they weren't too keen on paying for the lighting costs. Part of the illumination agreement was that the power plant and first week of illumination would be donated by the American Electric Light Manufacturing Company. 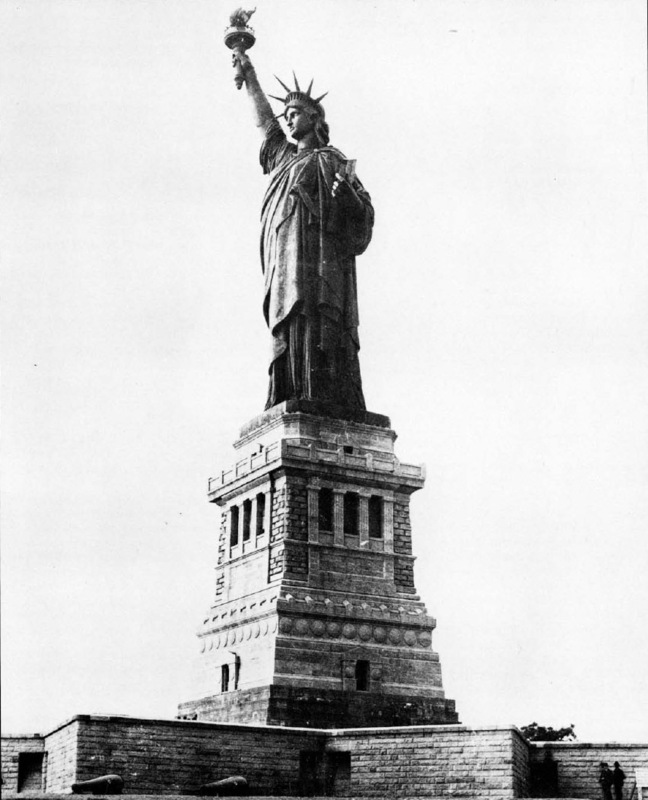 The statue was lit up on November 1, 1886. A week later, it was dark again. The first and only lighthouse keeper, Albert E. Littlefield, was hired in December of 1886. Littlefield was chosen because of his expertise with electricity, and under his care the lights kept shining for sixteen years. Though he made improvements that made the lighthouse less expensive, the Statue of Liberty was still a huge drain on Lighthouse Board resources, and it ceased to serve as a lighthouse on March 1, 1902.